Pressure Free (1995/Deep Elm Records), on the Karmic EP and on North 6th Street. In 1995, Conte left the band and was replaced by Ira Elliot, former drummer of the Fuzztones, a very active band of the eighties NYC scene, and of whom both Caws and Lorca were fans. After a show at the Knitting Factory, Nada Surf met former Cars frontman and Weezer producer Ric Ocasek. With little hope, they presented him with a copy of Tafkans. Three weeks later, Ocasek called back with news of his intention to produce the band's album. At the same time, the band was finalizing a contract with Elektra Records, through an executive, Terry Tolkin, who was working for its indie branch, No.6 Records, on which their release, the Karmic EP had been released the same year. Negotiations with Elektra did not pan out, so Ocasek connected the band with Maverick Records. The band flew to Los Angeles for a hectic audition; Caws had the flu, and they had to rent gear. In 1996, the band released High/Low, their debut album which was recorded and mastered within a 19-day period. The recording was paid for by Elektra before the band signed its contract that January. 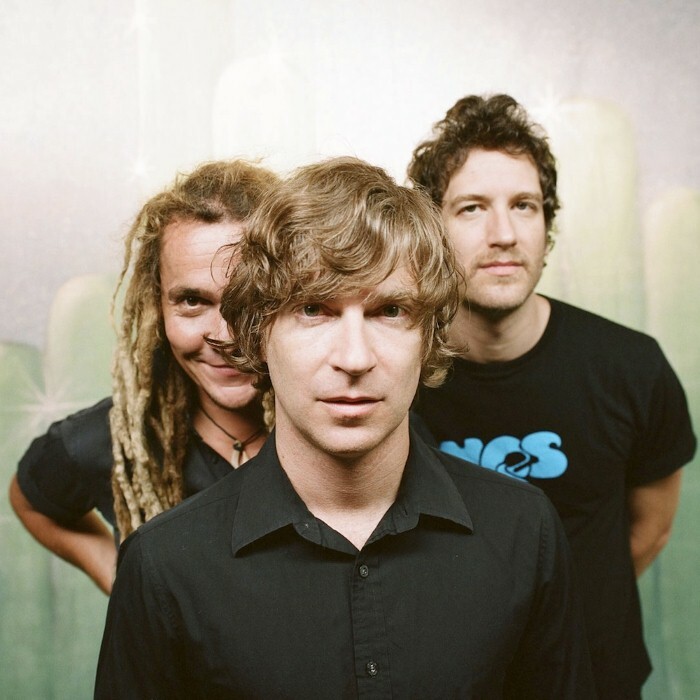 That summer, as Nada Surf toured the United States with Superdrag, their song "Popular" became a summer anthem, and the band toured overseas. In 1998, the band released The Proximity Effect, their follow-up album, in Europe. Produced by Fred Maher, the album gained little commercial success in the US. Their record label, thinking the album lacked a hit like "Popular", had the band record several covers, including "Black & White" (The dBs) and "Why Are You So Mean To Me?" (Vitreous Humor), to use as singles. Tired of the requirements of the A&R director, the band judged the album was perfect as-is (even though Elektra suggested the inclusion of an acoustic version of "Popular"), and broke their contract. As a consequence, Elektra did not release the album in the US and dropped the band while they were on a promotional tour in Europe. Despite these events, this album was critically acclaimed in France, where the band made a 30-show tour the following year.